The FOM LMT65 aluminium machining and cutting centre stands as the continuation of Sternfenster’s major investment programme. 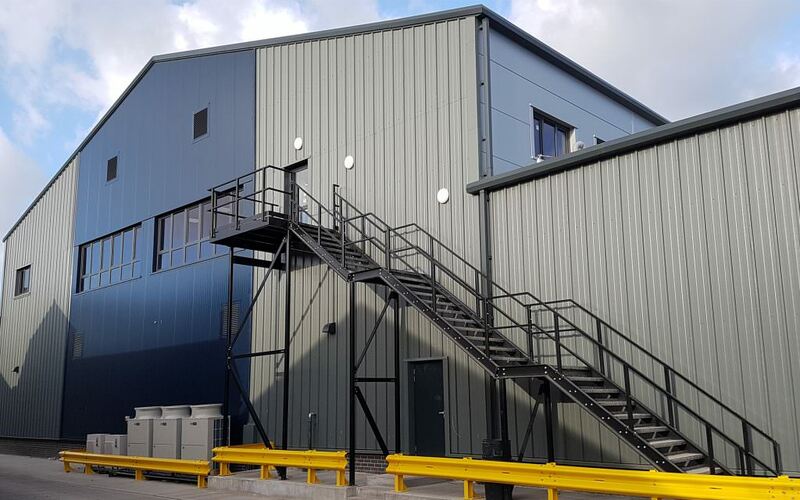 Purchased from the Promac Group, the FOM LMT65 has been strategically integrated into Sternfenster’s strategic growth plans, allowing them to double bi-fold door capacity whilst simultaneously cutting manufacturing and lead times. This allows Sternfenster Approved Installers to benefit in a number of ways, including lead times of as little as three days, increased quality and efficiency, enhanced flexibility and improved opportunities for higher margin sales. This demonstrates the investment that Sternfenster place in their Installer Network. 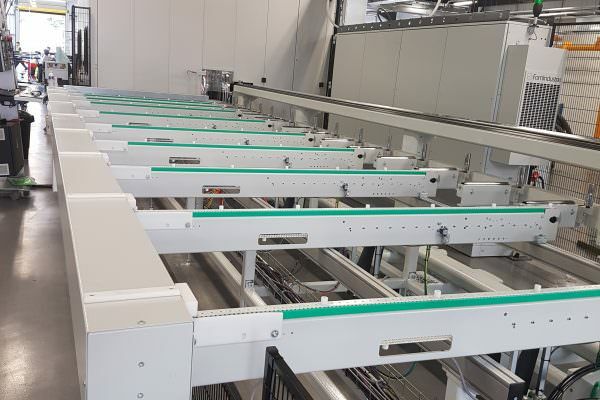 The FOM LMT65 utilises innovation and intelligence to create a flexible aluminium cutting and routeing line. The multi-spindle preparation unit with a 360° variable angle allows access to all four sides of the profile, which is then automatically linked to the sawing unit which features a 650mm diameter blade with electronic tilt control. This allows high quality to stay consistent. This aluminium machine and cutting centre also features a bar feeder and pick up system with an adaptive rotating gripper. Overall, this means that the FOM LMT65 has the in-built flexibility to handle a wide range of different profiles. This allows Approved Installers to offer a wider range of aluminium products in a quick, simple and efficient way. Becoming a Sternfenster Approved Installer is quickly becoming the smart way to invest in the future of the industry, with aluminium on course to reach a 17-year high topping 220,000 frames by 2020. This also includes growth in the bi-fold door market of 30% in the same period to 55,000 door sets, with aluminium accounting for sales of more than 35,000 units. The range of aluminium products that Sternfenster offers their Approved Installers allows their customers to stay at the forefront of double glazing design. With the Secured by Design aluminium bi-fold door and the brand new aluminium vertical sliding sash window in tow, the FOM LMT65 makes the process of offering market-leading products to homeowners smoother and quicker. This investment also ties in with Sternfenster’s latest venture, a high performance powder coating facility. With the Sternfenster Approved Installer Network growing from strength to strength, Sternfenster is continually demonstrating their investment in quality, innovation and product options to allow their Approved Installers to gain a competitive edge in the market. Grow your business the smart way by becoming a Sternfenster Approved Installer. Get in touch by calling 01522 51 25 25 or by visiting our ‘Join Our Network‘ page for more information. It’s never been easier to offer your customers the best in class.